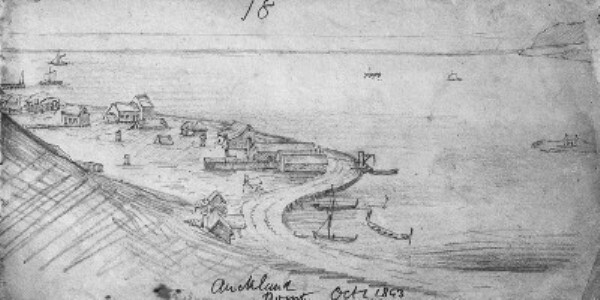 Auckland Point, or Matangi Awhio was a pa, kainga or seasonal camping site from at least the fifteenth century. 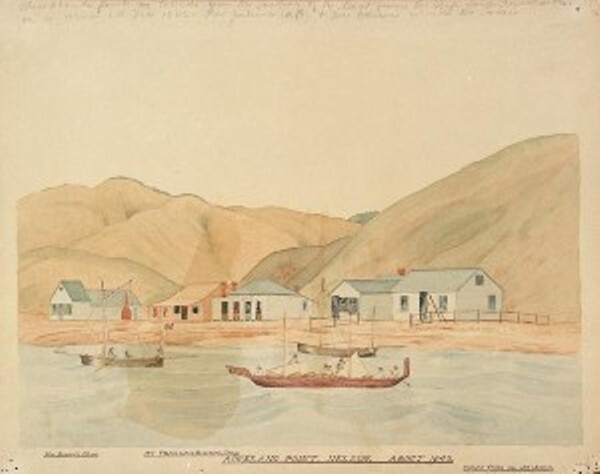 Henry Thompson, representative of the Government-appointed Trustees of Native Reserves, recognised the importance of the site to Maori when he selected five one-acre sections at Matangi Awhio (Sections 62-66) as his first five choices of 100 Tenths Reserves in Nelson Town in April 1842. Bishop Selwyn, one of the Trustees, visited Nelson in August-September 1842, and ordered a hostelry to be built on one of the Matangi Awhio sections for Maori visiting for trade; there would be a house for each group of regular visitors to Nelson, with a chapel on the hill above. The houses planned for groups from Rangitoto (D'Urville), Motueka, Wakapuaka, Te Tai Tapu (Golden Bay) and Hoiere (Pelorus) were built progressively but there do not appear to have ever been more than three; the chapel never eventuated through lack of income from the Reserves. 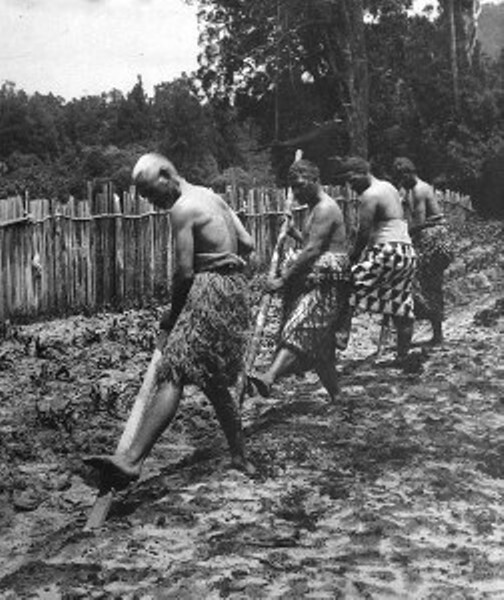 Maori continued to use Matangi Awhio as their base in Nelson for many years – for trade, for attendance at official hearings (the Spain Commission 1844, Magistrate’s Court, Native Land Court), to meet with Government officials, to seek assistance for health problems, and later to obtain employment. Because of poor Maori access to hospital services ‘the Maori houses’ eventually became de facto hospitals, with appalling conditions caused by overcrowding, lack of care, and no control of infectious diseases. The Maori houses were closed by the Health Department in 1949. Want to find out more about the Auckland Point Market ? View Further Sources here. Ok, thank's a lot, that's exactly what i was looking for ! Bassett, H & Kay, R. “Nga Ture Kaupapa o Ngati Koata ki Te Tonga”. Waitangi Tribunal WAI 785 Doc #A76 pp218-245. Mitchell, H & J (2004) Te Tau Ihu o Te Waka: A History of Maori of Nelson and Marlborough, vol.1 The people and the land , Wellington, N.Z. : Huia Publishers in association with the Wakatū Incorporation. pp70, 71, 302-303, 424-426.